Spain is undoubtedly a country of wine and you should make at least a wine tour here once in your life. Every single region has its own wine production, but here is a choice of 5 Top Spanish Wine Regions you should choose from if you come to Spain. There are around 70 Designations of Origin in Spain and a wonderful variety of wines, including still wines (red, whites, rosés), sparkling (Cava), fortified (Sherry) and sweet wines. Therefore, you can find and enjoy all kinds of wines when touring the Spanish wine regions. Moreover, you can find in Spain all the ingredients to make your wine trip an unforgettable and cherished experience. In particular, delicious gastronomy and valuable heritage, two awesome and invariably essential ingredients for a wine road trip! Internationally renowned, Rioja is without any doubt the most acclaimed Spanish wine region in the world. The wines are fabulous and top-ranked by international critics and connoisseurs. But the landscapes are also breath-taking and the wineries offer a wide range of wine experiences. 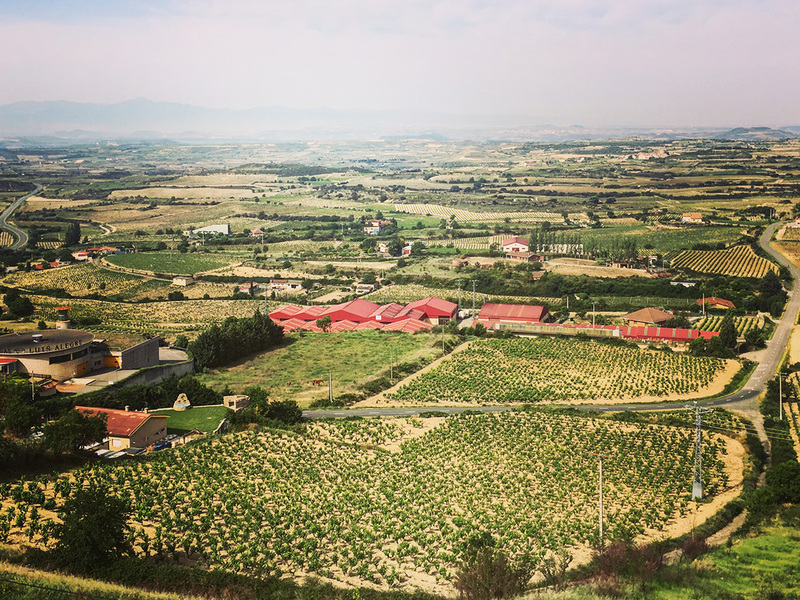 Rioja has three sub-regions: Rioja Alta, Rioja Alavesa and Rioja Baja; the first two being the most celebrated, although Rioja Baja has recently been producing extraordinary wines too. But what can Rioja offer travellers apart from top-quality wines? You would be amazed by beautiful views over contrasted landscapes: the greenness of vineyards, the snow-capped mountains and the rivers crisscrossing the valleys! Moreover, the “Riojana” gastronomy is one of a kind! Taking its origins on outstanding products of the land such as peppers, onions, tomatoes, asparagus, peas, beans and peppers, it is simple but so succulent! 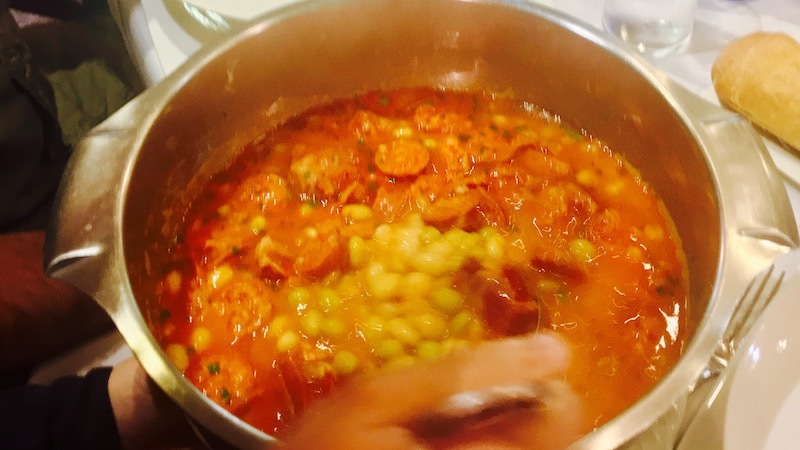 Take for example Pochas, beans not fully dried cooked with tasty pork sausage (chorizo) or Patatas a la Riojana, a potato stew with chorizo and dried red peppers. Where to fly to reach Rioja? Pamplona, Bilbao and San Sebastian are good options to fly to when planning to visit Rioja. If you are travelling to the Spanish capital, we organise tours from Madrid to Rioja. 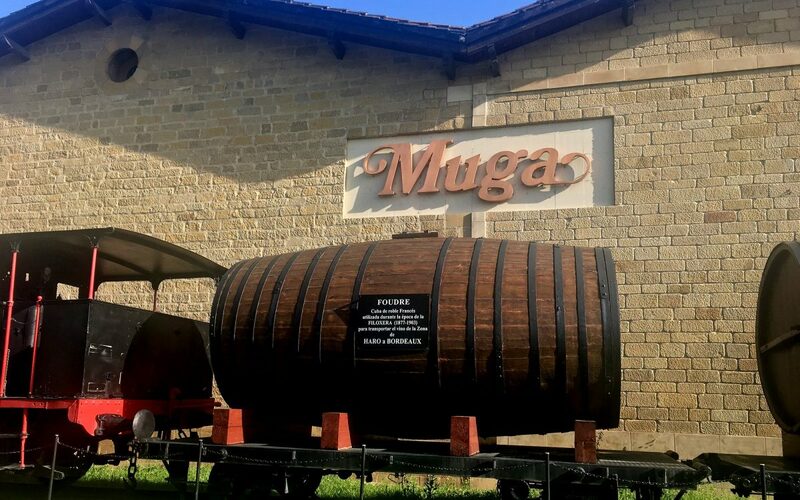 Haro, Logroño, Laguardia and Elciego are all lovely towns that you shouldn’t miss during your Spanish wine tour of Rioja! -Trying patatas a la Riojana, Pochas, Esparragos Blancos (white asparagus) and delicious Lechal (suckling lamb). 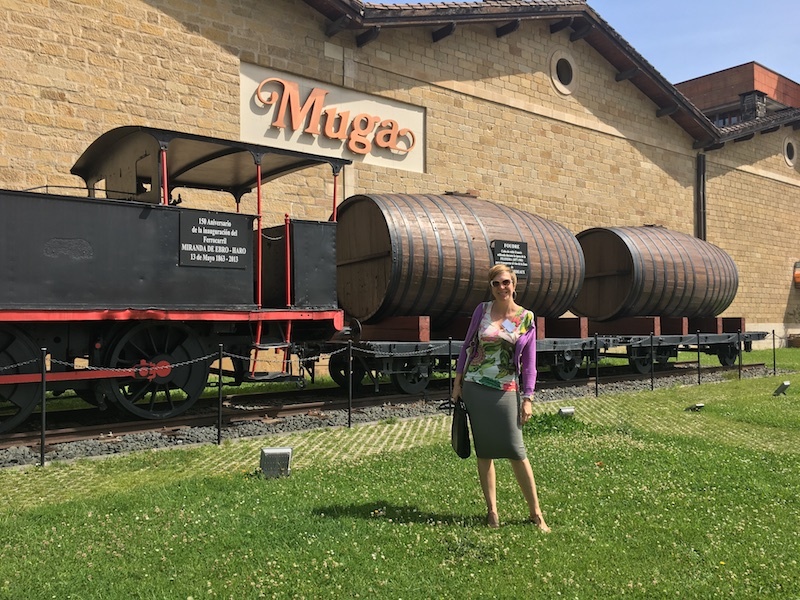 BEST RIOJA WINE TOUR IN 2 DAYS! If you are a Rioja fan you will be thrilled by the wineries we will visit and amazed by the “riojana” gastronomy. South-west Spain has so much to offer with all its cultural past reuniting the Jewish, Muslim and Christian cultures and all the richness of this heritage that you can find in the many towns and cities of Andalusia region. Jerez is the Spanish wine region –within the province of Andalusia– where Sherry is produced and its fellow Manzanilla is made nearby in Sanlúcar de Barrameda. The famous Sherry triangle is integrated by the cities of Jerez de la Frontera, El Puerto de Santa María and Sanlúcar de Barrameda where the Jerez tradition has been alive for centuries. If you are a Sherry lover and would like discovering the mix of cultures and the ancient heritage present in the Andalusian region, Jerez is the wine destination for you! You could easily fly to Seville or Jerez de la Frontera. If you haven’t been to Cordoba and Seville, you should definitely stop by! 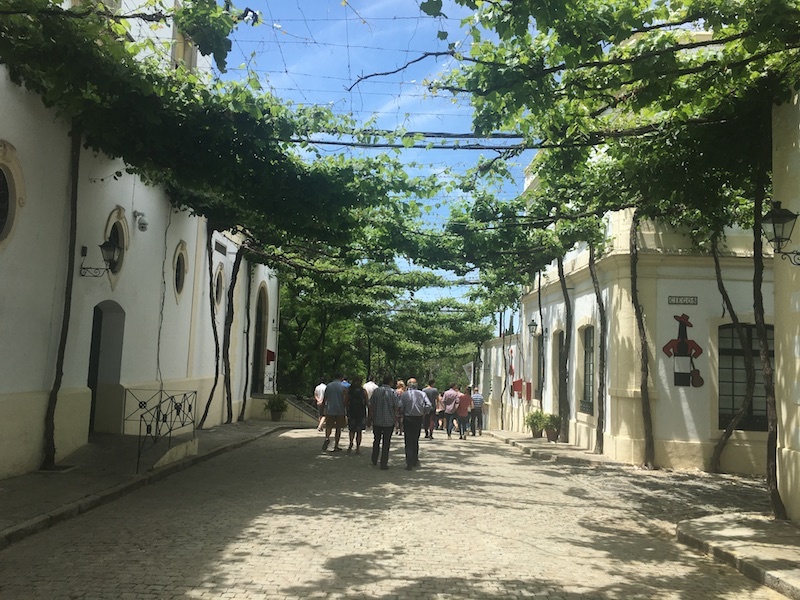 -Wineries in Jerez, Puerto de Santa Maria and Sanlucar de Barrameda such as Grupo Osborne (Puerto de Santa Maria), Tio Pepe (Jerez) and Bodegas Delgado Zuleta (Sanlucar), among many others. -Manzanilla paired with green olives, a classic combination! -Trying Pedro-Ximenez as a dessert to end a meal in style! 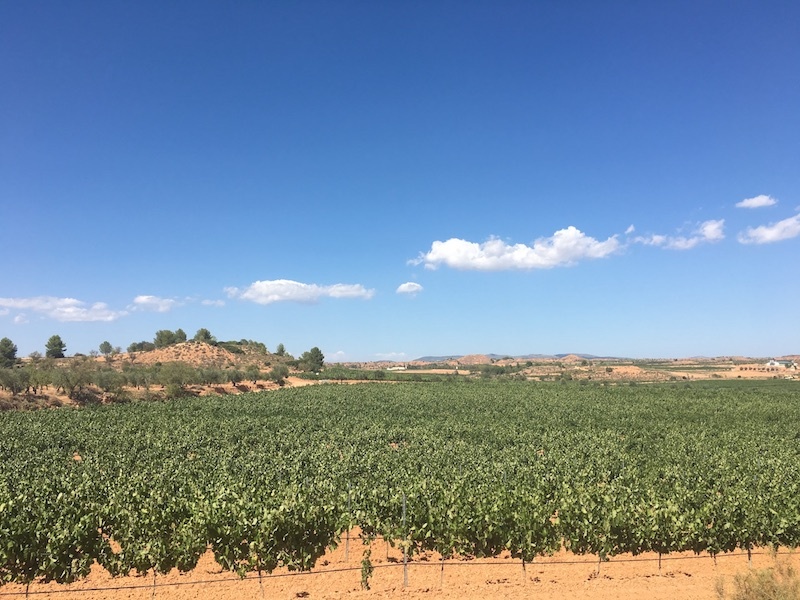 Without any doubt wines produced in Ribera del Duero have been performing in an outstanding manner and have been awarded international recognition turning this Spanish Wine Region into a real competitor for its neighbour and most acclaimed Rioja. Wines here are primarily made from Tinta del País (a clone of Tempranillo grape variety, the Rioja Spanish star), are also matured over long periods of time in both oak and the bottle and many of them have a long potential for ageing. Vega Sicilia top wines are a great example of this! 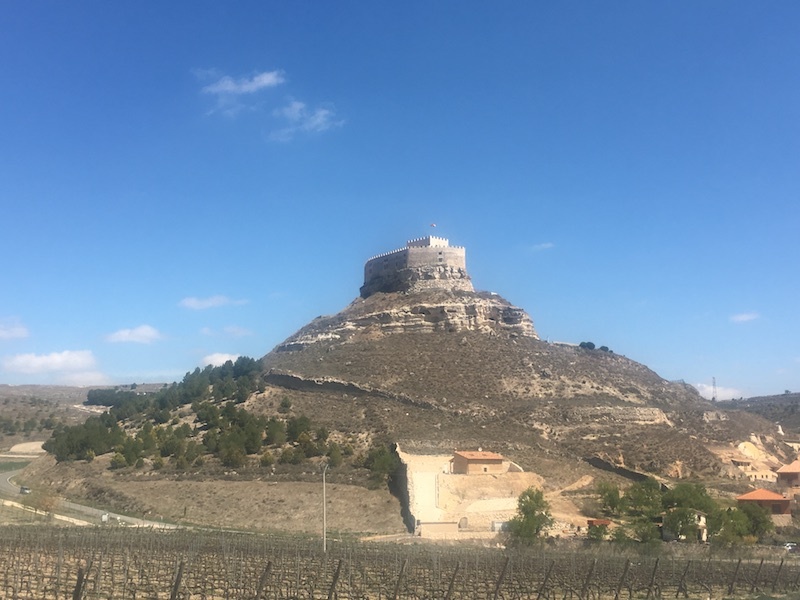 Ribera del Duero is only 2 hour-drive from Madrid, which makes this Spanish wine region a fabulous option for travellers and wine lovers wishing to visit the Spanish capital and make a wine tour from there. Madrid, Valladolid and Burgos are all good start points for your Ribera del Duero tour. -Eating Lechazo asado (roast suckling lamb) paired with one of Ribera del Duero DO wines! -Visiting intimate bodegas (wineries) offering high-standard wine experiences such as Viña Pedrosa and Comenge Bodega. If you want to experience harvest in Ribera del Duero, we are organising a wine tour there on the 26th and 27th September! 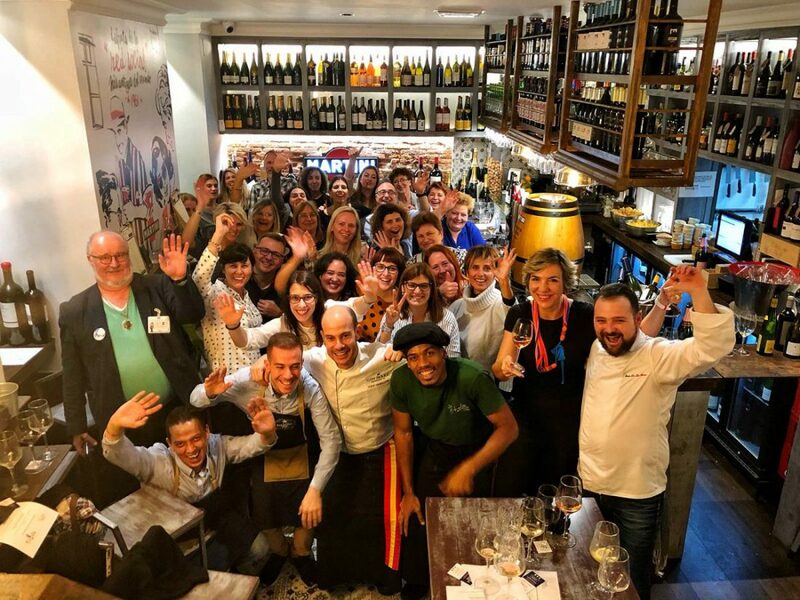 RIBERA DEL DUERO WINE AND FOODIE LOVERS! Discover the best of Ribera del Duero in one-day trip! We will visit 2 Bodegas in the heart of this worldwide renowned Spanish wine region producing high-rated and awarded wines. Tasting Mar de Frades at the winery! The most famous Spanish wine region within Galicia, Rias-Baixas started to be internationally recognised due to Albariño which became the flagship Spanish white grape variety outside Spain. Benefitting from the Atlantic influence, it is located in Northwester Spain close to the sea. 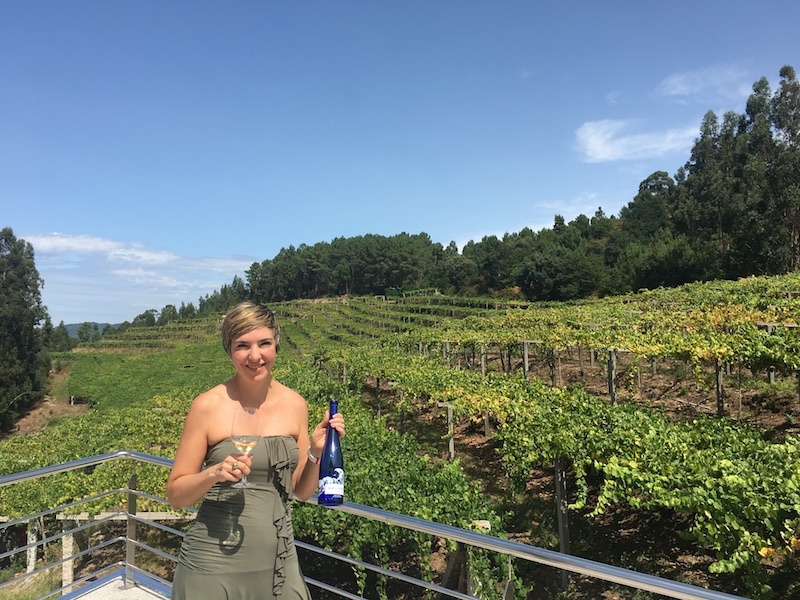 Albariño gives fruity and mineral wines; vineyards in the region use the pergola system to plant vines in order for them to freely breathe avoiding excessive humidity that could cause some diseases, due to the frequent and abundant rainfall. This Designation of Origin was created in 1987 with only 237 hectares of vines planted; today it counts over 4,000 hectares of vineyards and 5 sub-regions within the DO: Valle de Salnes, Condado de Tea, El Rosal, Sotomayor and Ribera del Ulla. Rias-Baixas offers landscapes absolutely stunning, beautiful towns and amazing seafood; of course, Galicia is the mecca of octopus among many other kinds of fish and shellfish. 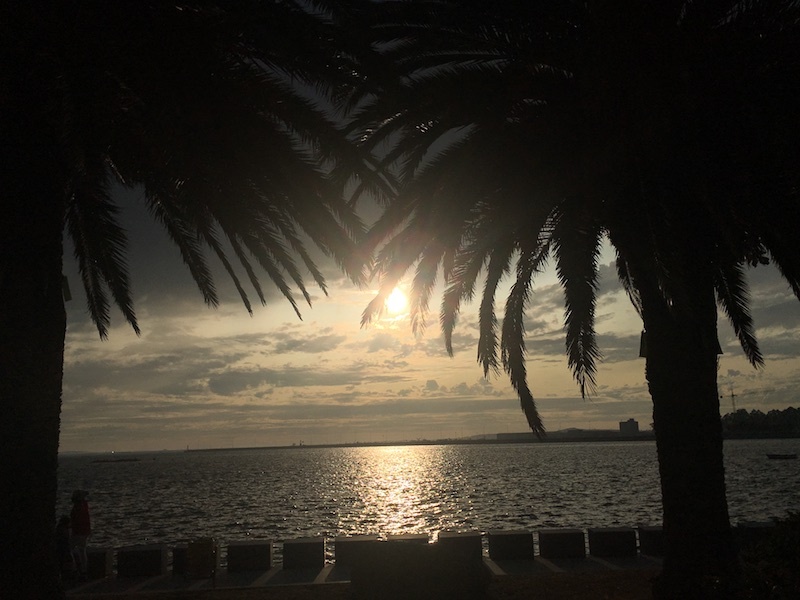 With nearly 1,500 kms of coastline, fishing takes place every day. 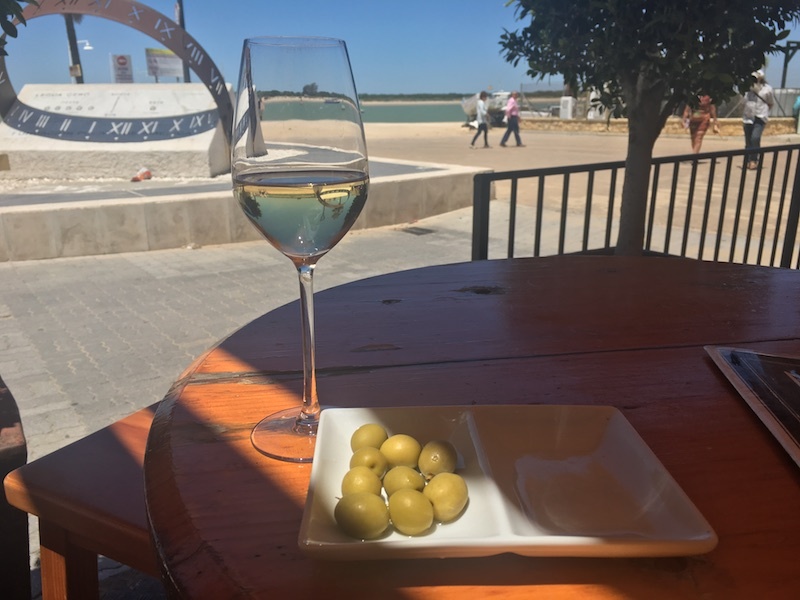 So if you are a seafood fan and love expressive white wines, this is definitely the Spanish wine region for you to visit! Where to fly to reach Rias-Baixas? -Don’t miss: Eating octopus, the king of Galician gastronomy; spider crabs (centollas) from O Grove, scallops from Cambados, lobsters from A Guarda and all kinds of seafood, crustaceans and molluscs such as tasty mussels, abundance of claims, santiaguiños (a species of slipper crab), delicious shrimps, oysters, zamburiñas, among many others! 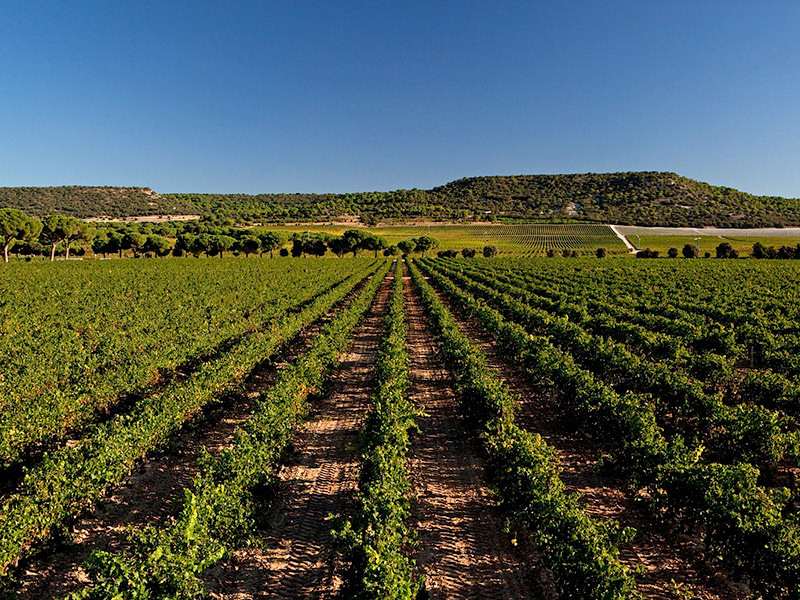 Located in the province of Valencia, Utiel-Requena wines have been awarded multiple international awards over the last years. 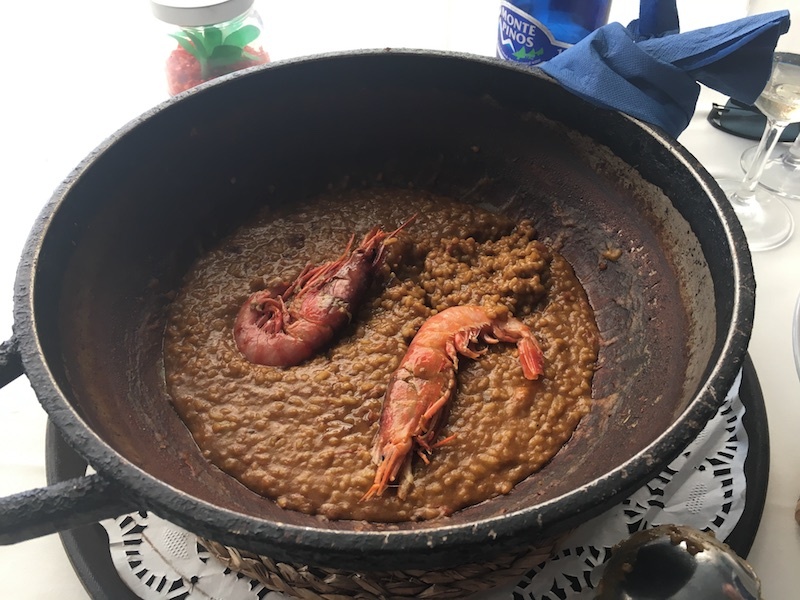 With a historical tradition of winemaking dating back to the 7th Century BC, this is an unmissable wine tour if you would like to enjoy sea landscapes and fabulous arroz (paella made in a range of multiple styles with all kinds of different ingredients). Utiel-Requena takes its name from the two neighbouring towns of Utiel and Requena. Vineyards here are intercepted with beautiful natural areas and mountain landscapes. 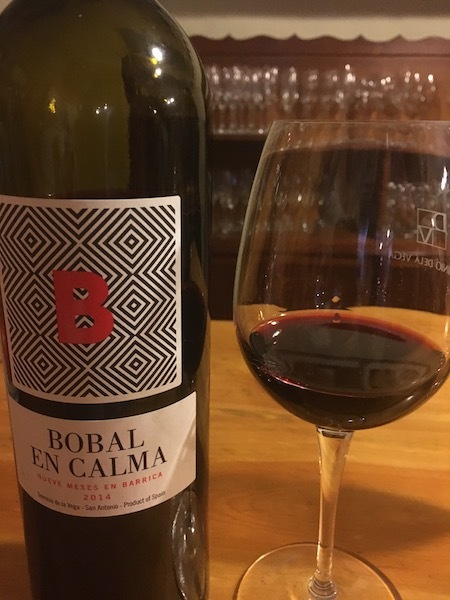 The Queen of grape varieties in Utiel-Requena is Bobal, giving savouring and bold red wines but also structured rosés and complex Rosé Sparkling wines. Indeed! There is an interesting range of wines that you can try when visiting this Spanish wine region. If you are an enthusiast of the sun, the Mediterranean Sea and paella, Utiel-Requena can be a lovely choice for your wine trip. You won’t regret it! The easiest option is to fly directly to Valencia. Alicante is not far away either and Madrid is only 3 hour-drive from Valencia area. -The Ciudad de las Artes y las Ciencias (City of Arts and Sciences) is a must-see! -Murviedro winery for its variety and high-quality range of wines. -Eating Arroz con Gambas rojas y aguacate (Rice with avocado and red prawns) A-m-a-z-i-n-g!!! -Trying Ricard Camarena’s cuisine in one of his multiple spots in the city! 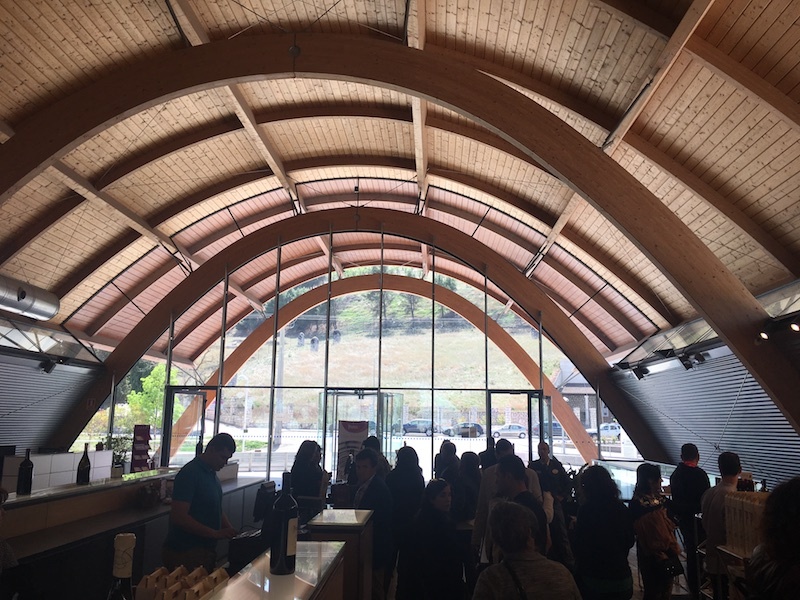 If you want to make a Spanish wine region tour with all the bits and bats having been taken care of, browse our tours here! 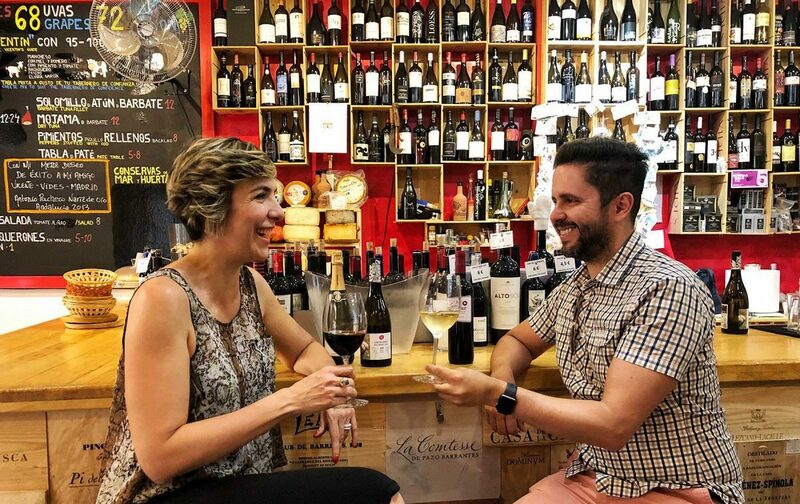 Here you can browse articles either to find practical tips about wine, discover wonderful Spanish bodegas, gathering info about grape varieties or exploring fabulous wine tourism destinations!